USA Mortgage is excited to bring it’s a full line of mortgage products to Webb City, Joplin, and the entire Four State region. We are located in Webb City at 6055 N Main Street Road. We are a full-service mortgage bank, meaning we do everything “in-house” throughout the transaction. This gives us complete control of the process. We are also an employee-owned mortgage company. So that means all “employees” in the company work every day to give you the best experience possible when buying your home. We take pride in what we do and as owners of the company we want you to feel that while you are working closely with us. 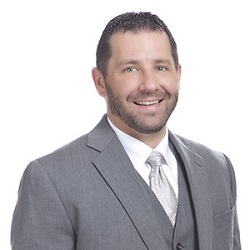 We also offer VA Loans, FHA renovation, Conventional renovation, Construction loans, Bridge loans, Bank Statement program for self-employed borrowers, Manufactured home options, Primary, secondary and investment property product, and Energy Efficient Mortgage options in Webb City, and Joplin MO. We have a wide range of home loan products that can fit just about any mortgage need. These products include USDA (RD), FHA, VA and conventional just to name a few. We have many others as well. 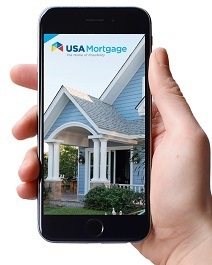 USA Mortgage’s experience in the mortgage industry has also solidified a reputation in accomplishing what other mortgage lenders will not or are not capable of doing. This is what has gotten us to be the number 1 mortgage lender in the state of Missouri. We are also the number 1 mortgage lender for USDA (RD) and MHDC loans in the state for the last eight years. Casey did an excellent job helping me with a refinance. He was very professional and answered all my questions in a timely manner. I would highly recommend him and his company.